Hotel Marudhar Heritage is located 200 m away from Bikaner Junction and 800 m from Rani Bazaar Bus Stop. 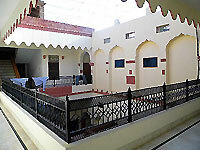 Close to Bikaner Railway Station, Hotel Marudhar Heritage offers comfortable accommodation at affordable rates. Categorised as Standard Non AC, Non AC Deluxe, AC Deluxe, AC Super Deluxe and Royal, the rooms are provided with cable TV, sofa and intercom. The attached bathrooms have hot and cold running water supply and a shower. Kids can utilise the in-room study table for reading and writing purposes. The hotel is a cost-effective living option for tourists who come to visit the ancient havelis and historic forts that stand as the pride of Bikaner. 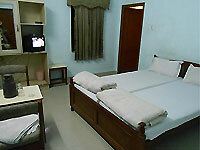 Doctor-on-call, laundry, parking and airport/railway station transfer are on-site facilities offered. 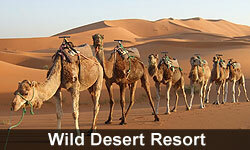 Guests can also avail taxi service from the hotel's travel desk for sightseeing in Bikaner. By availing in-room dining service, guests can relish delicious food in their respective rooms. During the stay, explore the rich history of Junagarh Fort and get enthralled at Bikaner's Camel Festival.